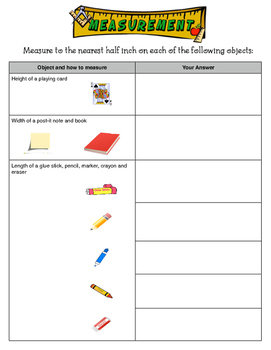 Simple, easy to use measurement activity that asks students to measure common classroom items to the nearest 1/2 inch. Please leave comments if you like it. Leaving comments ='s getting free credit on TPT. Try it out. Follow my TPT store for some more freebies and other great lessons.